Stanford is developing new online course material in order to improve on-campus courses and provide broader public access to exciting learning opportunities. 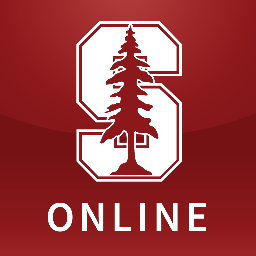 The engineering team at Stanford's office of the Vice Provost for Online Learning is running and developing on an instance of the OpenEdX platform. Antimicrobial Stewardship: Improving Clinical Outcomes By Optimization of Antibiotic Practices (CME) 7 hours worth of material 7 hours worth of material Self paced No reviews yet. 酒店业内的人口贩运问题（广东话） 1 hours a week 1 hours a week Self paced No reviews yet. 人口贩运问题的公众普及教育（广东话） 1 hours a week 1 hours a week Self paced No reviews yet. 餐饮业内的人口贩运问题（广东话） 1 hours a week 1 hours a week Self paced No reviews yet. Molecular Foundations of Medicine Self paced No reviews yet. Probability and Statistics Self paced No reviews yet. Principles of Computing Self paced No reviews yet. Dementia and Diversity in Primary Care: Latino Populations 1 hours worth of material 1 hours worth of material Self paced No reviews yet. Algorithms: Design and Analysis Self paced No reviews yet. Human Trafficking Awareness for the General Public 1 hours worth of material 1 hours worth of material Self paced No reviews yet. Human Trafficking Awareness for the Hospitality Industry Self paced No reviews yet. Human Trafficking Awareness for the Restaurant Industry Self paced No reviews yet. Supporting English Learners: Resources for Leaders Self paced No reviews yet. Essentials of Program Strategy and Evaluation Self paced No reviews yet. Unconscious Bias in Medicine 1 hours worth of material 1 hours worth of material Self paced No reviews yet. Dementia and Diversity in Primary Care: South Asian Populations 1 hours worth of material 1 hours worth of material Self paced No reviews yet. Algorithms: Design and Analysis, Part 2 4 hours a week 4 hours a week Self paced No reviews yet. Exotic Tumor Database Training 2-3 hours worth of material 2-3 hours worth of material Self paced No reviews yet.